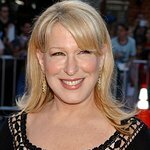 Bette Midler has told Britain’s Hello! magazine about her pride for her charity, the New York Restoration Project. “I’m… very proud of the New York Restoration Project,” she says. "I’m very proud of the fact I’ve saved 55 community gardens and I’m on my way to saving many, many more. “I’ve built parks and provided children with environmental education. And I’m proud of the fact I’ve received recognition for it. Midler founded the NYRP in 1995, "based on the belief that clean, green neighborhoods are fundamental to the quality of life, and that every community in New York City deserves an oasis of natural beauty.